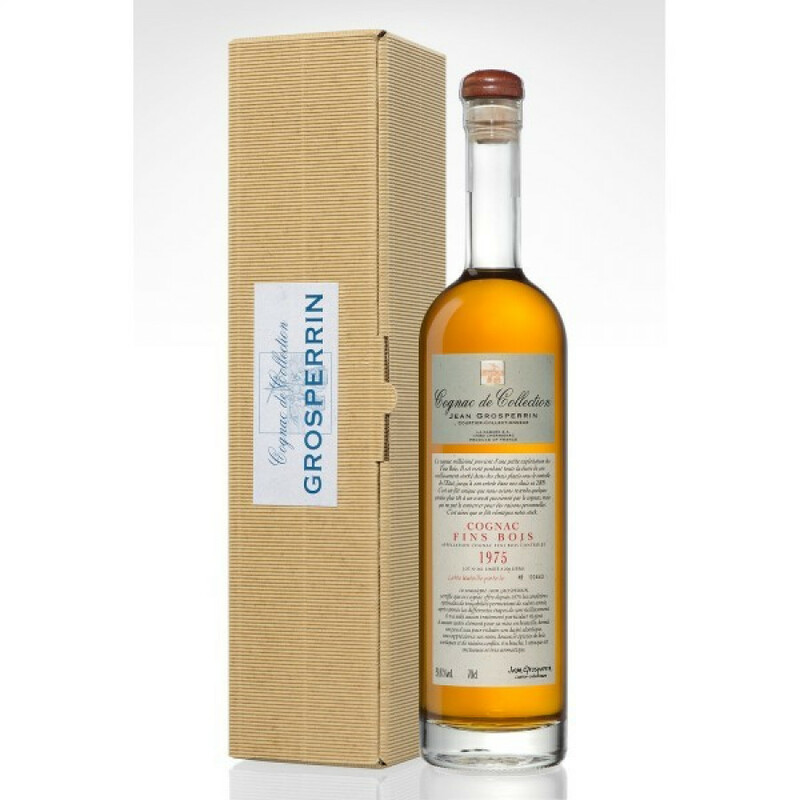 The Grosperrin Millesime 1975 Fins Bois Cognac is yet another masterpiece from this independent Cognac house. From the Fins Bois harvest of 1975, this vintage Cognac offers extraordinary value for money for one of such a wonderful quality. Allowed to mature to a highly respectable over-proof value of 46.8°, this intense yet well-rounded Cognac shows why so many people are keen to snap up good harvest years of Fins Bois eaux-de-vie. Floral, fruity, and complex, the traditional style Cognac bottle comes adorned with an informative label that provides fascinating data about the liquid contained within.